Microsoft’s latest endeavor to raise the market share of its Windows 10 operating system has produced quite a stir in the community. 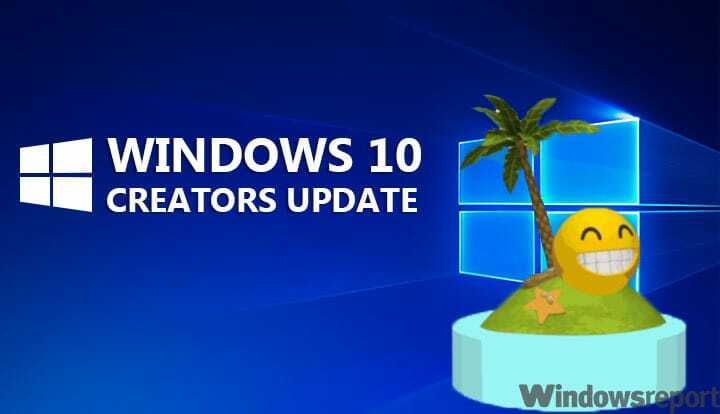 The Creators Update has brought a series of useful new features and improvements to the table, as well as issues of its own. As more and more problems are surfacing in the aftermath of the update, users didn’t hesitate to voice their complaints on the most popular forums on the internet. When I fresh installed windows 10 I didn’t realize that I downloaded the creators update ISO. This lead to a week and a half of me writing on windows message boards and searching the internet for anyone that had this same problem. When trying to dial out with the Usb modem in my case the Mc760 from Virgin Mobile, it came back with error 633 in windows and the message “The remote computer did not respond please try again. Be Careful when updating to creators update from Microsoft if you use a USB Dongle for internet. I was lucky and found a way to download another ISO but that strategy might not always work. When the situation seemed hopeless, a helpful user by the name Otadiz appeared with a handful of solutions for users who might find themselves in the same predicament. Here are his answers to the problem for those in need. 1. Go to Start > Settings > Updates and Security > Advanced Options > Defer Feature Updates. In this manner, you won’t get the new updates right when they come out and they will be more stable by the time you get them. 2. Go to Start >Type services > Go to Windows Update > Right-click Properties > Startup Type > Disabled. 3. Go to Start> Settings > Updates and Security >Recovery Options > Go back to an earlier build. Have you encountered any Mobile Broadband USB dongles after upgrading to Windows 10 Creators Update? If you’ve come across other fixes, feel free to list the troubleshooting steps in the comment section below.